Does The Futuristic Keiser M3i Indoor Studio Bike Offer A Good Workout? The Keiser M3i Indoor Cycle looks like an exercise bike from the future – so much so that this indoor studio cycle barely looks like a bike at all. 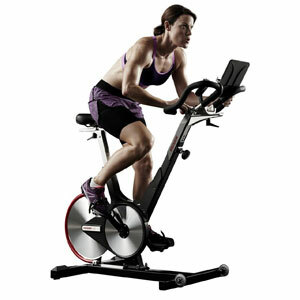 There are so many interesting elements to the design and so many computerised elements that this machine should go far beyond any exercise bike that riders are used to, or any other at-home gym equipment for that matter. There is an instant appeal to this sleek little bike, with the fun looks and the focus on the interactive experience, but is it able to live up to expectations?